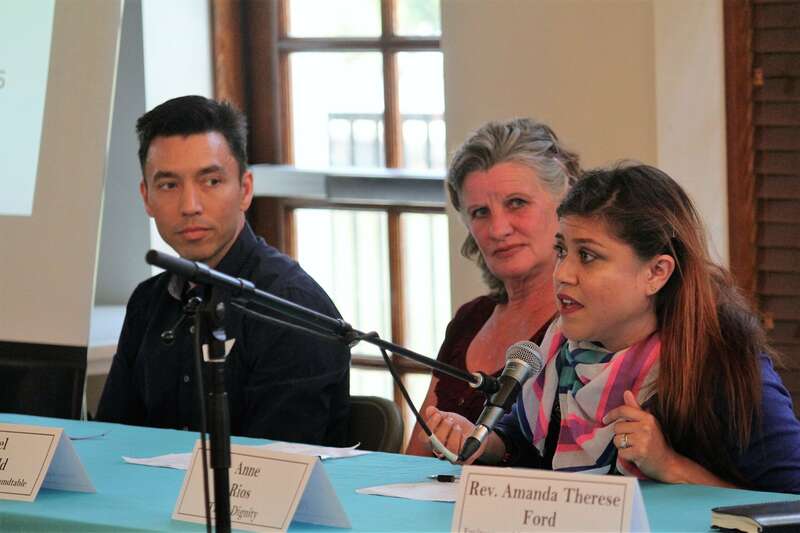 Members of the water and social services sectors from across the Santa Ana River Watershed convened at a symposium last month to identify connections between the challenges of homelessness and water management. 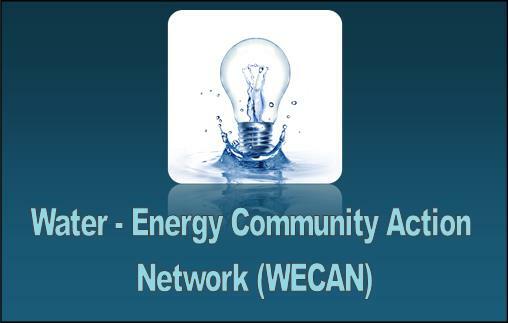 The event was part of grant-supported effort to identify the strengths and needs of underserved communities through the Santa Ana Watershed Project Authority’s Disadvantaged Communities Involvement (DCI) Program. 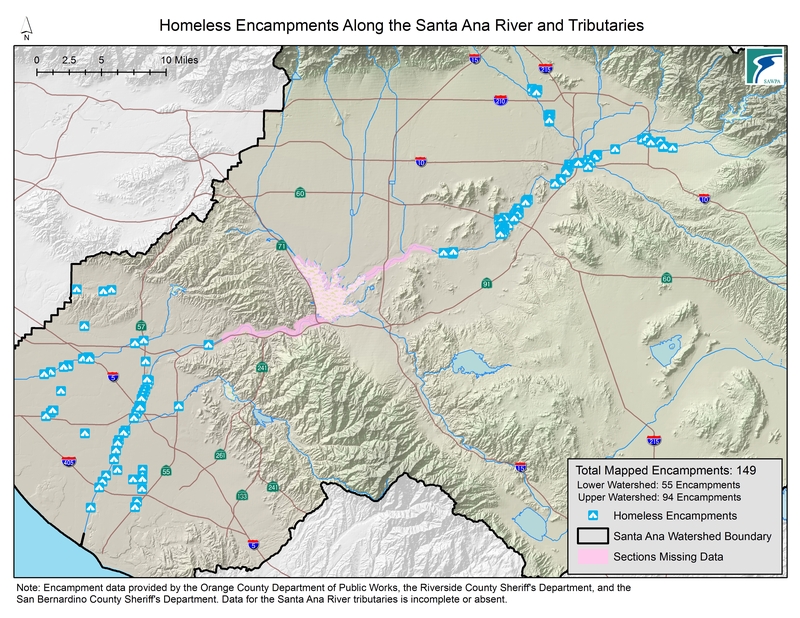 People who live in encampments along the Santa Ana River and its tributaries can be at risk from flooding, and they often do not have safe or affordable access to water for drinking and sanitation. Some regulators point to trash from encampments as a source of pollution, and some high costs of cleaning them up. After six months of talks with homeless services providers, sheriff departments, flood control districts, the ACLU, and nonprofit leaders, SAWPA held the Homelessness and Water Symposium to look for ways the water sector could ensure the human right to water is upheld for people who are homeless. 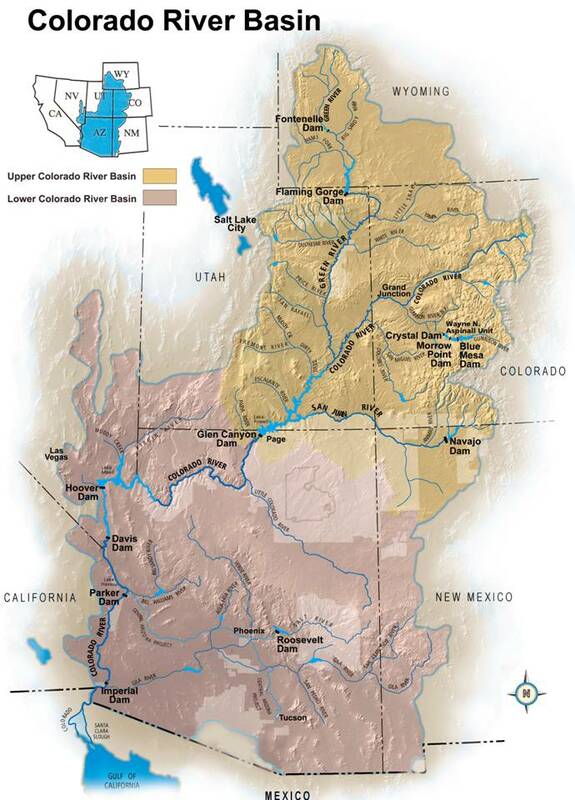 SAWPA, a joint-powers authority created by five water districts, develops, plans, and undertakes common projects to address water resources needs and water quality control and protection. 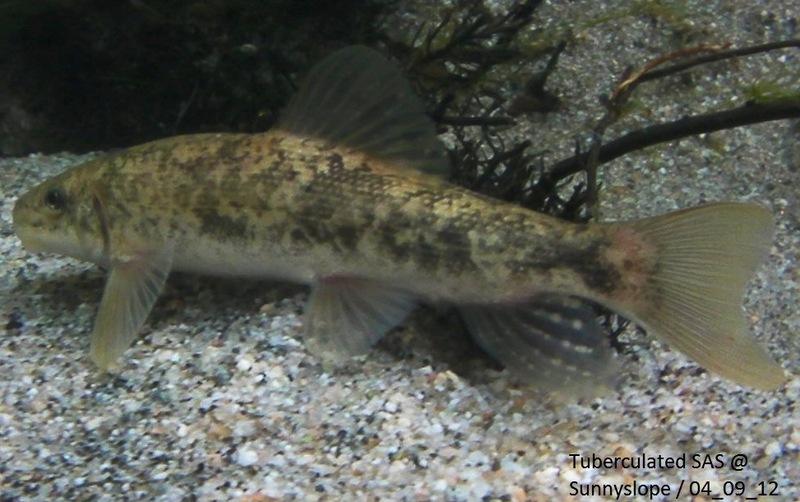 The agency partnered with the Inland Empire Waterkeeper to host the symposium on June 29 at Fairmount Park in Riverside. About 65 people attended. The symposium helped establish a link between water sector members and people who cannot access water for drinking and sanitation because they do not have homes or money. 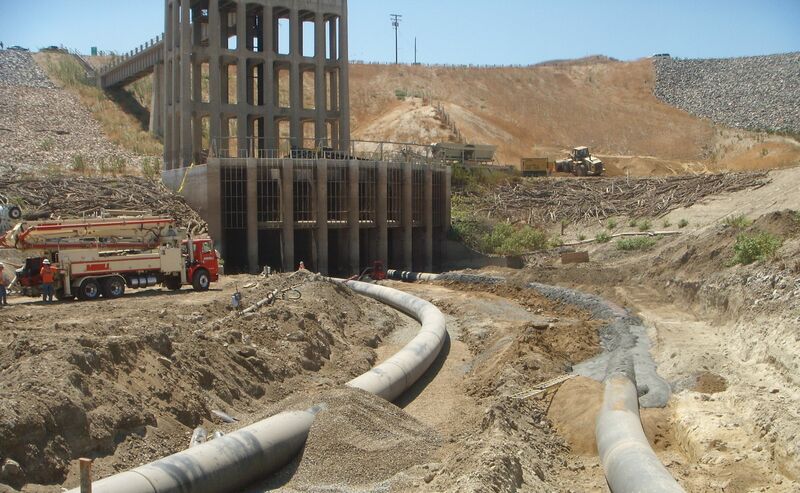 While collaborative efforts exist to end homelessness in the watershed, including Orange, Riverside, and San Bernardino counties, water management is generally not part of these efforts, and it is unclear where exactly it should fit. One homeless assistance approach with growing county support in the watershed is “Housing First.” It connects homeless individuals and families with permanent supportive or affordable housing, and it differs because it does not include barriers to entry, such as treatment programs or sobriety. Housing First is based on the principle that everyone can achieve housing stability and that homelessness is rooted in a housing crisis in the United States. Permanent supportive housing has been shown to improve outcomes and increase retention for people who are chronically homeless. In the Housing First homeless assistance approach, water resources issues are present in the cost of water at businesses and in utilities for people placed in housing, said Damien O’Farrell, the CEO of Path of Life Ministries, during the first panel on homelessness in the watershed. Give people who are homeless a home, and you solve their needs for water for bathing, drinking, and toilets, said O’Farrell, whose organization provides housing in western Riverside County. He added that ongoing utility payments can be difficult for shelters to cover and can be difficult for formerly homeless people to afford. To start the second panel on the Human Right to Water and its implications, Rev. Amanda Therese Ford of the Environmental Justice Coalition for Water (EJCW) described Assembly Bill 685, which took effect in 2012 and recognized that “every human being has the right to safe, clean, affordable, and accessible water adequate for human consumption, cooking, and sanitary purposes.” EJCW is based in Sacramento and advocates for a community-based movement for the democratic allocation of water statewide. The coalition can’t implement or ensure the Human Right to Water in a meaningful way as it is currently written, Ford said. 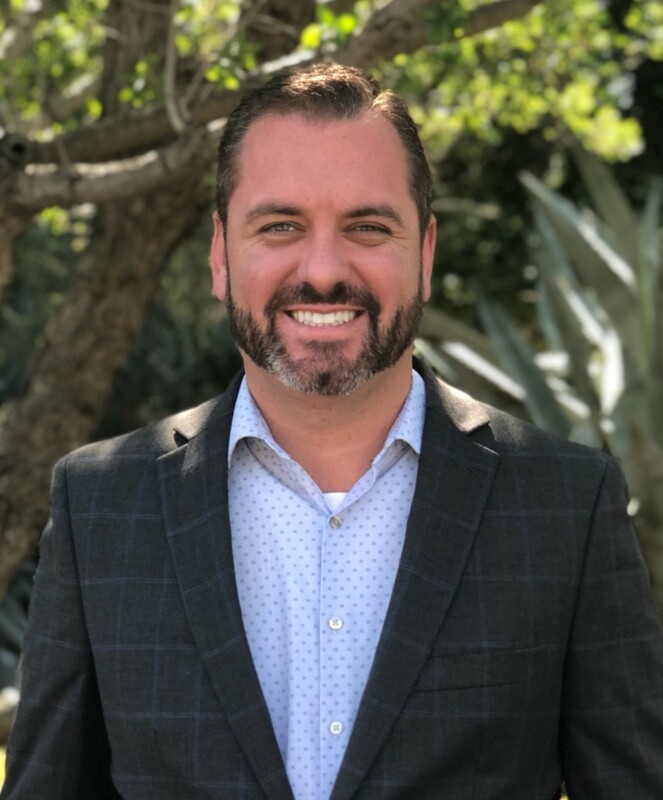 There may be room in municipal separate storm sewer system (MS4) permits to get cities to provide assistance to homeless communities, specifically for sanitation issues, said Adam Fischer, chief of the Inland Storm Water Unit of the Santa Ana Regional Water Quality Control Board and a panelist. The permitees—the cities and counties—could have a significant role to play, he said. “The question for us is, ‘How do we write a permit that addresses the Human Right to Water?’” he said. 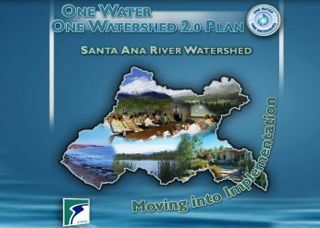 The Santa Ana Regional Water Quality Control Board protects the beneficial uses of water from any source of pollution. On the Human Right to Water panel, Fischer said it would take a community involvement effort to change the perception of what constitutes a beneficial use of the river to include people who are homeless living by it. The room was silent when Angel Mayfield, a homeless advocate in Orange County and a member of the OC Poverty Alleviation Coalition, shared her experiences living in an encampment along the riverbed, buying baby wipes to stay clean, watching another homeless woman spend five hours filling up jugs of water, and moving her tent seven times in eight months because of flooding or law enforcement. About 9,000 people are homeless on a given night within Orange, Riverside, and San Bernardino counties, according to the 2017 point-in-time count, and many live along the Santa Ana River and its tributaries. In areas of Orange County alone, about 480 unsheltered people were counted living in the riverbed earlier this year, according to the Orange County Health Care Agency. Mayfield said being homeless is expensive and time consuming, and many homeless people feel they’re being treated like animals, having to fight day in and day out for survival. 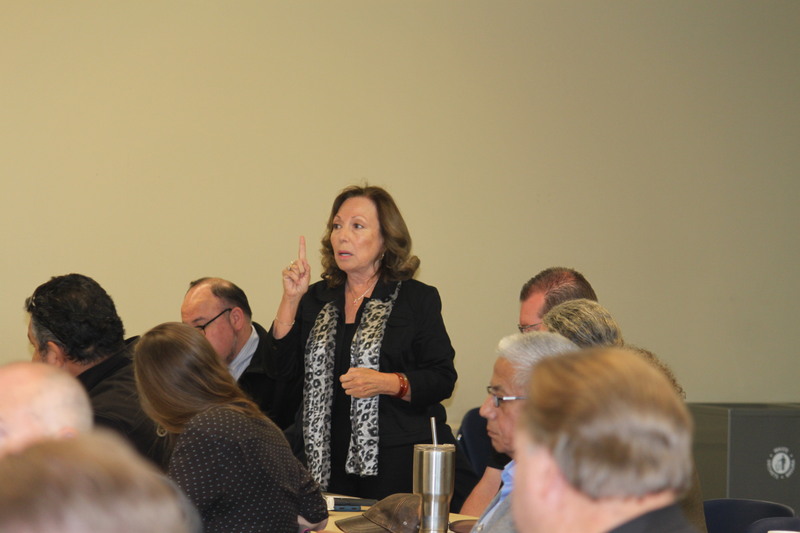 To improve water management and county programs, Mayfield emphasized how important it would be to establish trust with the people in encampments first. “We need to cross this barrier of fear that I don’t know you. Because I do know you, I know you went through something,” Mayfield added. 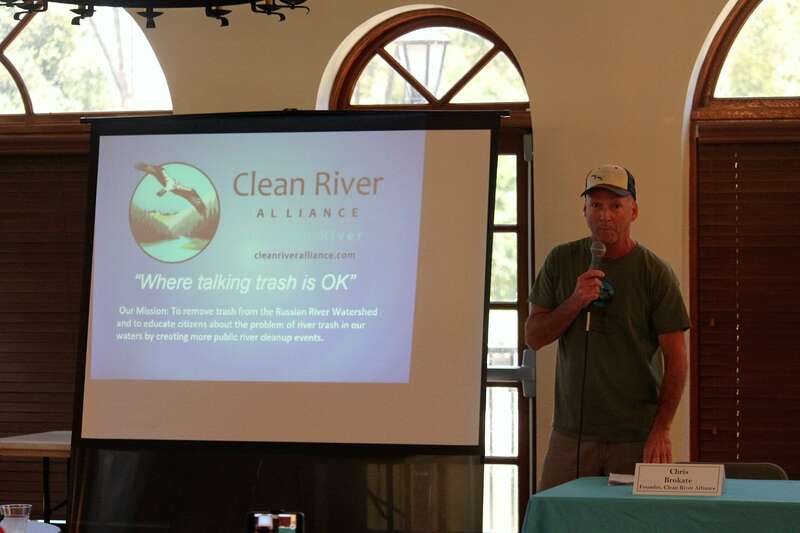 For the keynote, Chris Brokate spoke about founding the Clean River Alliance, a nonprofit sponsored by the Russian Riverkeeper in Guerneville in Sonoma County. Brokate organized a trash pickup service for people who are homeless by giving them trash bags and offering a set location where they could deliver the trash they collected each week. In 18 months people living in riverbed encampments delivered 70,000 lbs of trash that would have otherwise polluted the water, he said at the event. 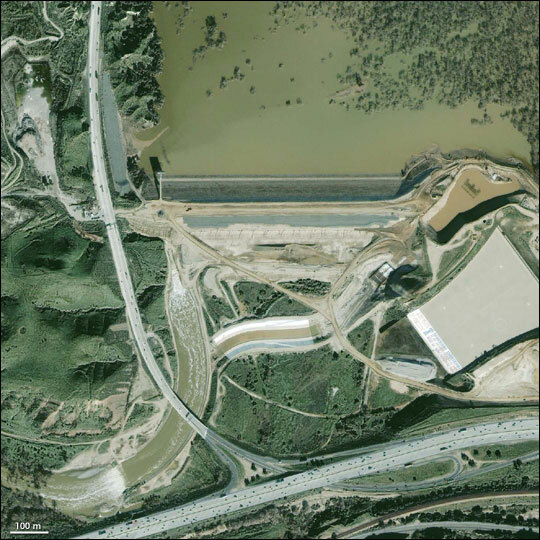 As reflected by Brokate’s work, the Santa Ana River Watershed is not the only region trying to tackle this issue. In Los Angeles, nonprofits have also set up mobile showers; in Contra Costa, the flood control district produced a report on encampments related to their customs and living conditions; and in Marin County, agencies and residents have used a website to share information about encampments and increase coordination. The Inland Empire Waterkeeper and SAWPA are eager to consider another event on homelessness and water management or to contribute to a workshop held by city and county officials, who have expressed interest in forming a special task force on this issue. 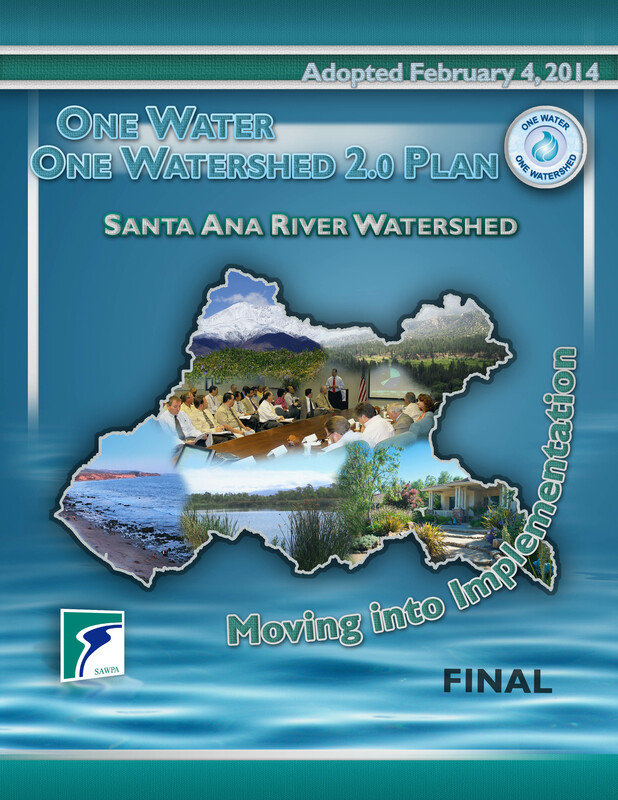 Through the DCI Program, SAWPA will also continue to work with stakeholders to incorporate the strengths and needs of homeless communities in the One Water One Watershed plan and in an ethnographic report by mid 2018. ● Eve Garrow, the homelessness policy analyst and advocate for the ACLU of Southern California.